After being diagnosed with dyslexia, Jorrit was directed through the school system toward a focus on arts and crafts, and there began his artistic life as a classical guitarist and carpenter. He specialised in restoring historical wooden buildings, and is especially proud of his work on the restoration of the Surinamese Saint Peter and Paul Basilica in Paramaribo. Jorrit has had a varied career in classical music; he has performed extensively throughout the Netherlands and abroad, both as a chamber musician and soloist. He toured Russia as a member of a guitar duo, was invited for solo recitals in the Netherlands and Germany (Twents Gitaar Festival in Enschede, Nootstop Guitar Series in Tilburg, Dutch Music barn in Markelo, etc. ), and also appeared with a singer and in a guitar trio. He is often invited to be a judge and give masterclasses in several international classical guitar festivals and competitions, such as “Alexander Matyaev”, in Kirov, Russia, and Nordhorn Guitar Festival in Germany, among others. Jorrit’s repertoire is usually an attractive selection of traditional compositions written for the classical guitar. Fond of lyricism and poetic musical expression, Jorrit can often be heard performing works of the Paraguayan composer Agustin Barrios Mangore- known as the “Chopin of the guitar”. The passionate works of de Falla, the impressionist flavoured Sonata of Antonio Jose, and even Ohana’s Tiento – a work of Spanish inspiration set in a modernist idiom, are part of his current repertoire. Jorrit has won prizes in several international guitar competitions: EGTA in the Netherlands and Nordhorn Guitar Festival in Germany. 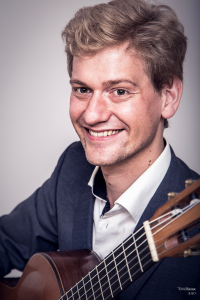 A passionate teacher, Jorrit is dedicated to sharing his interest and knowledge of the classical guitar in his home country by preparing young Dutch students to enter conservatories. He is concerned about the declining numbers of Dutch guitarists entering conservatories for serious study, and sees this preparation as an important role in improving the future of the classical guitar. 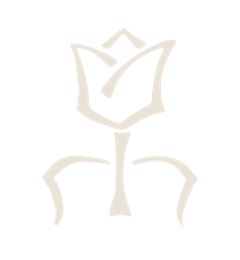 In 2017 Jorrit founded the Dutch Guitar Foundation- an organisation dedicated to enriching the classical guitar life in the country, building international relationships, and preserving the national heritage of the instrument. Jorrit obtained his Master’s degree at the Prince Claus Conservatoire, where he was part of the first generation of Master students in the department. Even though he grew up surrounded by the forests of Apeldoorn, he now lives and works in Groningen- the city of guitar! He still missed the trees and little hills, but it seems that his love of the world of classical guitar, now so active in Groningen, has his heart instead. His favourite tree grows in tropical rainforests and is called Peltogyne- purple heart.